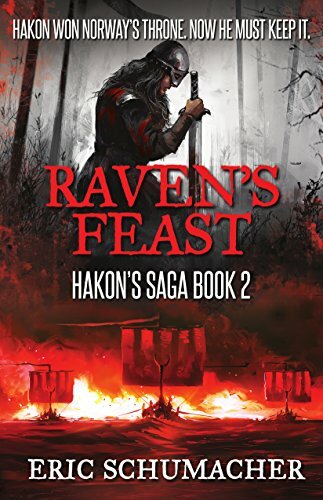 I'm excited to let you know that new Viking historical fiction novel, Raven's Feast, the sequel to God's Hammer and the second book in Hakon's Saga, has launched and is available in print and ebook formats. Amazon is the best place to get your copy, though other retailers will be carrying the print version soon. Raven’s Feast is the true story of Hakon Haraldsson and his quest to win and keep the High Seat of Viking Age Norway. It is 935 AD and Hakon Haraldsson has just wrested the High Seat of the North from his ruthless brother, Erik Bloodaxe. Now, he must fight to keep it. To celebrate the launch, the prequel, God's Hammer, will be available free-of-charge on Amazon in the US, UK and CANADA from May 2-6, 2017.